I get so excited when I find something I’ve never seen before in The Word! Honestly, The Bible is the most adventurous, mysterious book one can ever read. This little miracle happened the other day as I was spending some time in personal worship (aka “quiet time”) – I was reading Bob Sorge’s book, The Secret of the Secret Place. A reference to Psalm 110 got me digging. And, it is pure gold. Approximately one-thousand years before Jesus Christ (Lord) was born, God, through king David, prophesied Himself and announced the Messiah’s reign. Approximately 1000 years before Jesus Christ (Lord) was born, God, through king David, prophesied Himself. Does that get you as excited as it gets me? Pure Gold, I tell you. It truly is pure gold! I am so thankful that this promised Messiah will come again to judge the living and the dead. There is hope in trusting in that promise. He will come , we just don’t know when. Are we ready?????? Hugs Sue n Marni n congrats to sis on wedding. So happy for Peg. We roadies too::: in way to port for four days Bahamas. “Roadies” – yes, that is who we are!!! Jesus is LORD over all, in all, through all and beneath all. HE is all and all. Glory! 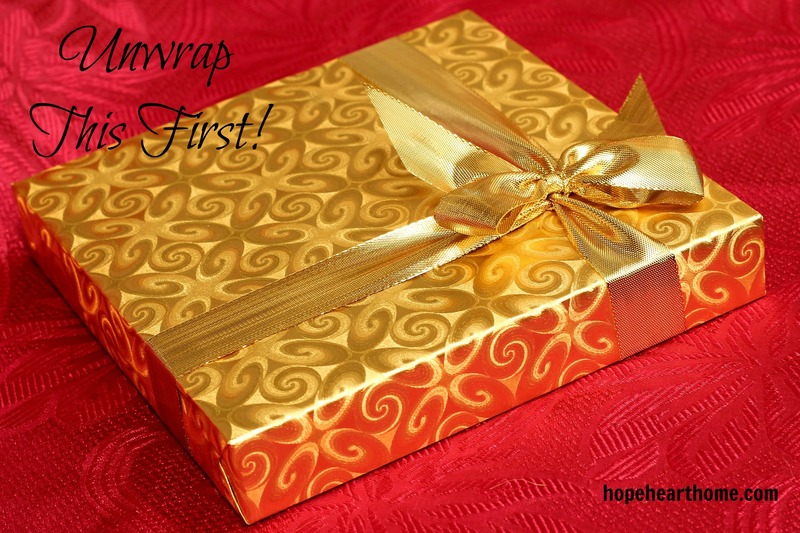 Always unwrap the best part first!!! There is nothing better than when God’s word reveals nuggets of gold such as this. Blessed that you shared the wisdom from Psalm 110. And The Secret of the Secret Place- oh my! Love that book! Thank you I hadn’t ever known the distinction that the different spelling of Lord infers. Awesome. Jesus who was and is and is to come. Your neighbour at Three Word Wednesday this week. Isn’t it incredible? You will now notice every time you read! It is amazing what we learn as we dig deeper into the Bible. Thanks for sharing your insight. It is pretty exciting. AMEN! Yes, that excites me! Such gifts God has given us throughout His golden Word. Thanks for clarifying the two ways that LORD and Lord are typed and what they each mean. I have learned that before but had forgotten. May your Christmas be filled with our Lord of lords. Thanks or coming over, Linda!